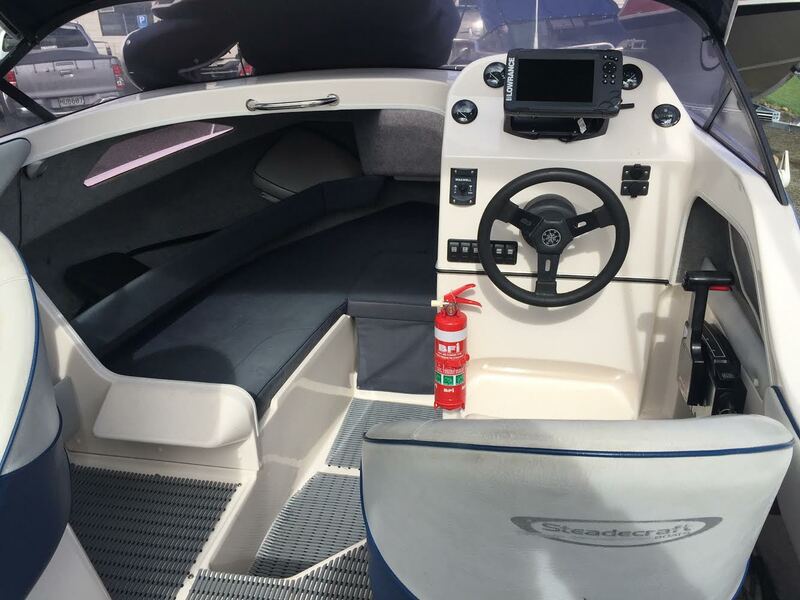 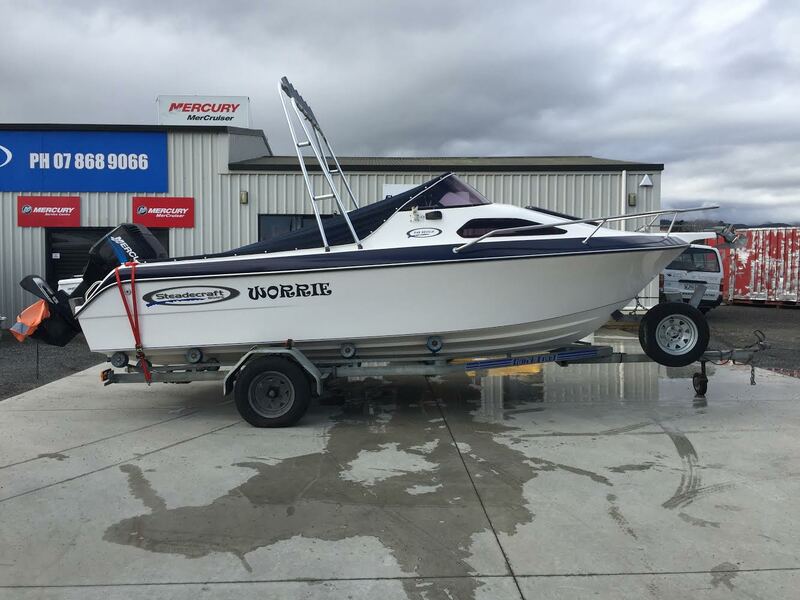 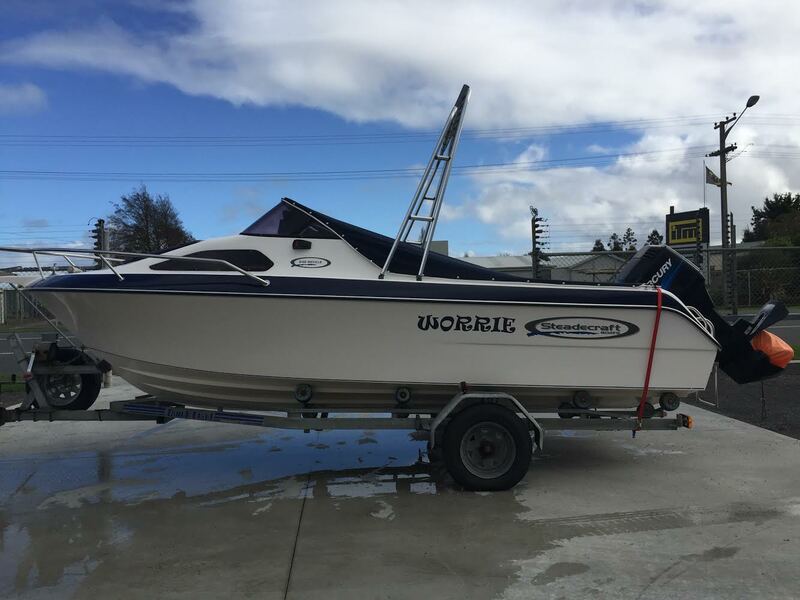 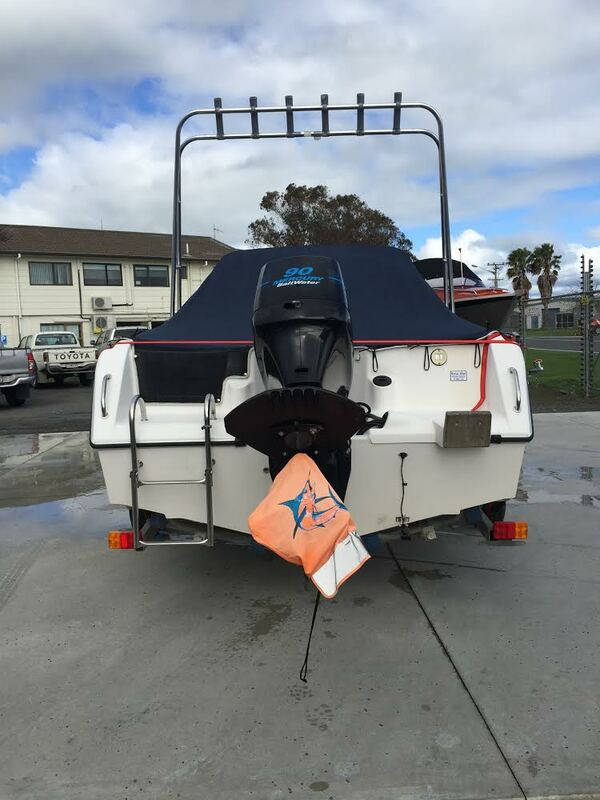 2000 Steadecraft 545 Seville | Peninsula Marine Ltd. 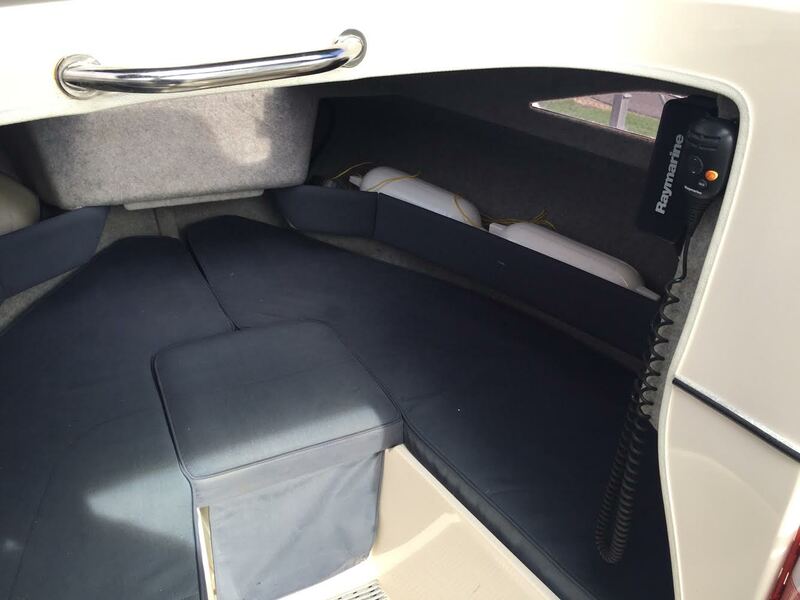 This boat is the perfect entry level boat. 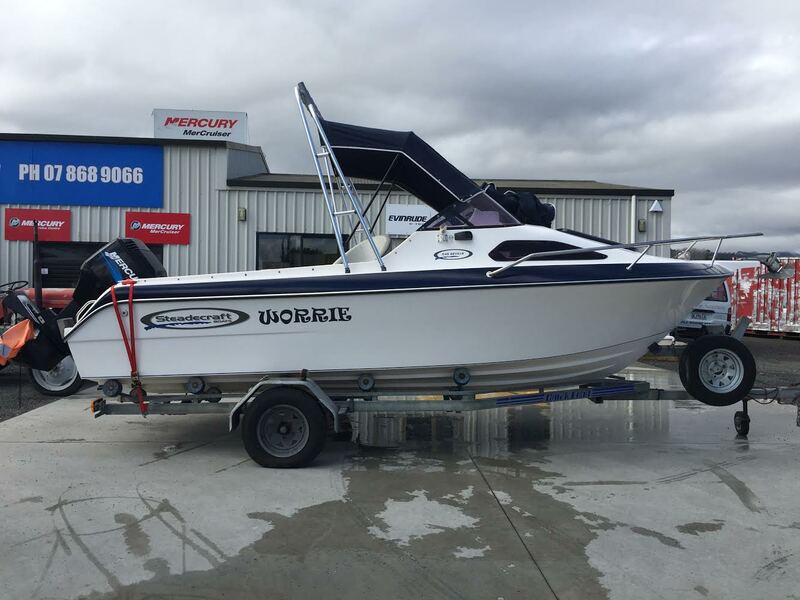 Perfect for a small family, or for a group of mates planning the ultimate fishing trip. 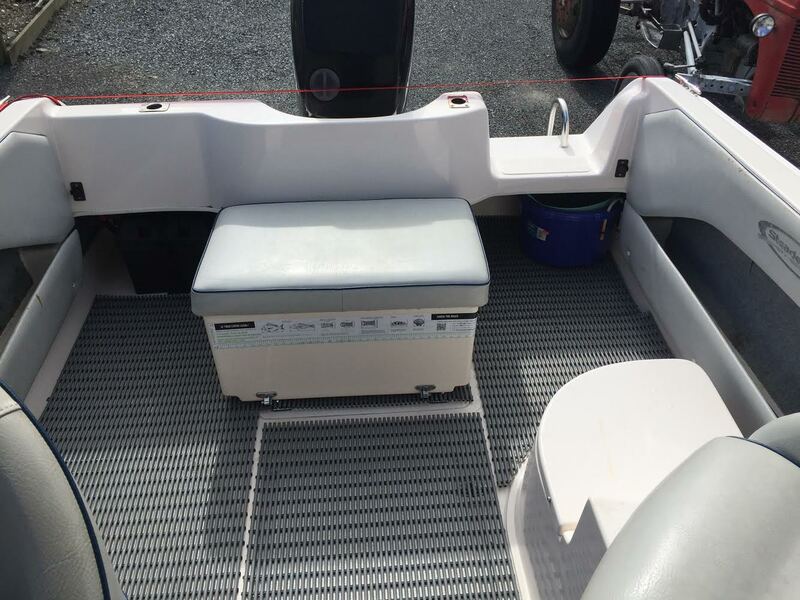 Extras include: Canopy, Road cover, Spare wheel, Auxiliary bracket, Ladder, New Hook 2 fish finder, Vhf radio, Chemical toilet, Tube matting, Rocket launcher. 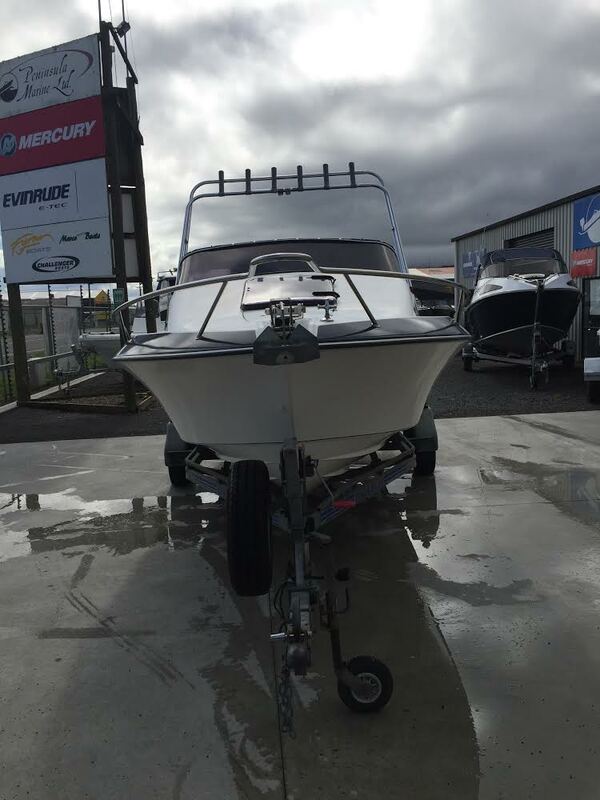 Just had a full service (21/8/18) and is ready to go.